Very often I am challenged with interior door swings. Sometimes they just take up too much valuable wall space. Thus, my solution many times is a rolling door. A rolling door can save that space on the interior of the room and can be an added feature of the entrance to the room. 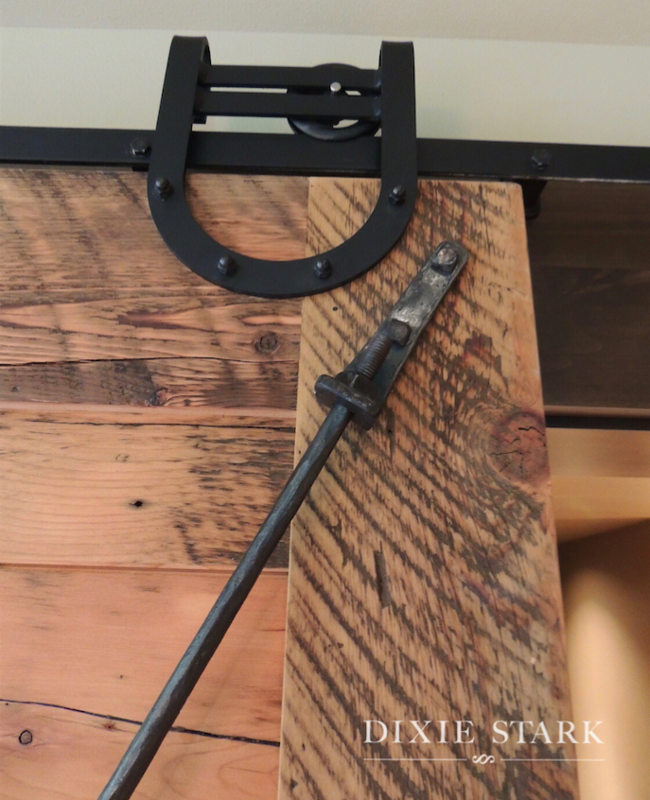 The rolling door and hardware can be a contemporary style (as seen below), a reclaimed door from days past, a rustic DIY, or whatever your heart desires. The only downside I see of the rolling door is the lack of locking capabilities, but this too can be resolved with an interior face attached mechanism of choice. 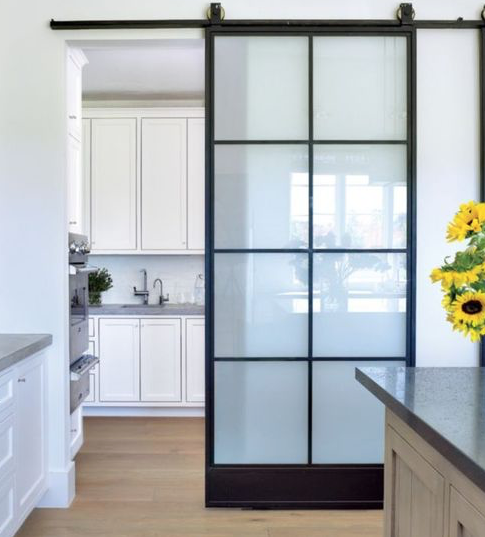 The aesthetic of the rolling door has become increasingly popular in favor of the traditional pocket door. I prefer it, so I’m rollin’ with it!